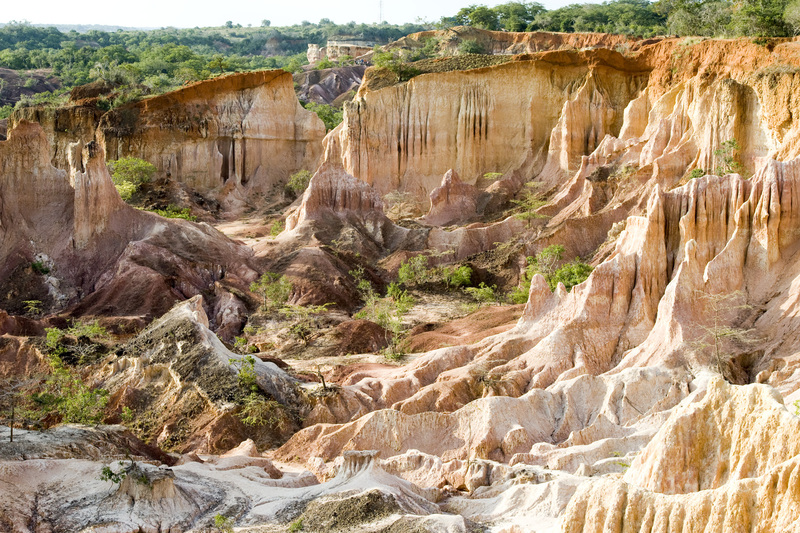 According to the Lonely Planet, Marafa is "the most underrated site on the coast (if not Kenya)" and if you, "put this geographic phenomenon anywhere else on earth, families would plan vacations around visiting and a glut of shopping malls would surround the approaches." 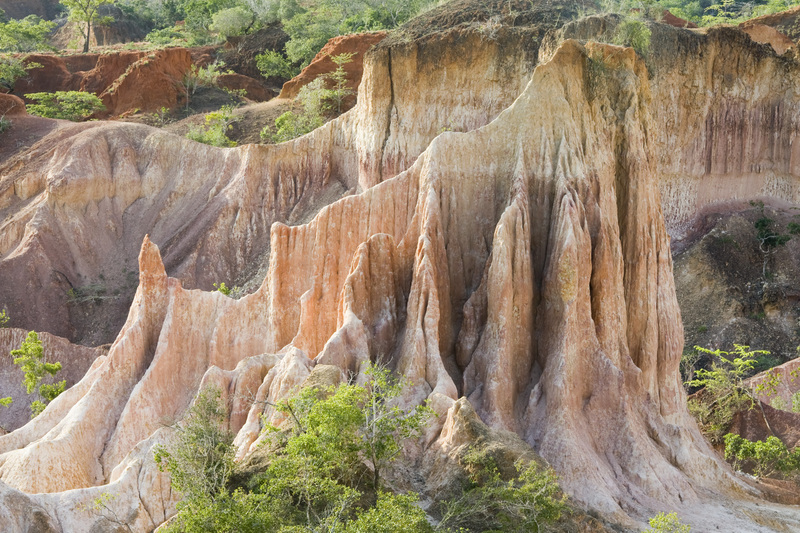 Lucky for us, Marafa is NOT surrounded by shopping malls and fast food stores, and is an absolutely incredible natural wonder that is easily accessible from Malindi. 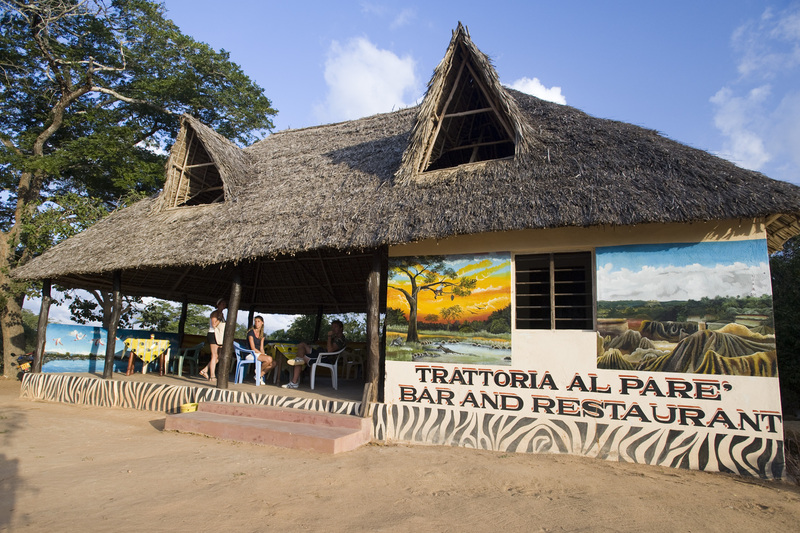 It's remote enough to give you an incredibly unspoilt experience in the wilds of the rural Kenyan coast The drive there is interesting in itself, as you drive over bands of red soil, white chalky soil and white rock. Quaint rural communities, ladies carry bags and buckets on their heads, children carry babies on their backs and lone cyclists all creating interesting sights along the way. 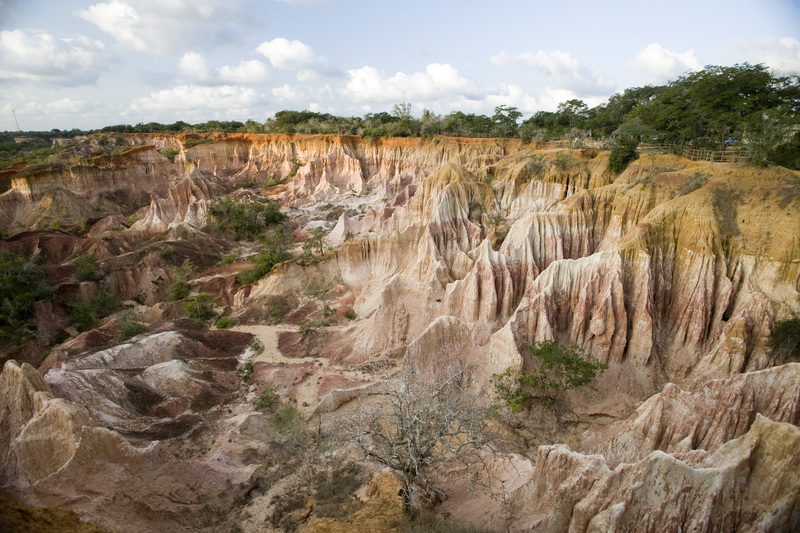 Legend has it that the Marafa depression (known as Hell's kitchen) was caused long ago by God's wrath on a local family. The family were so rich and extravagant, that they indulged in bathing in the valuable milk from their cows. 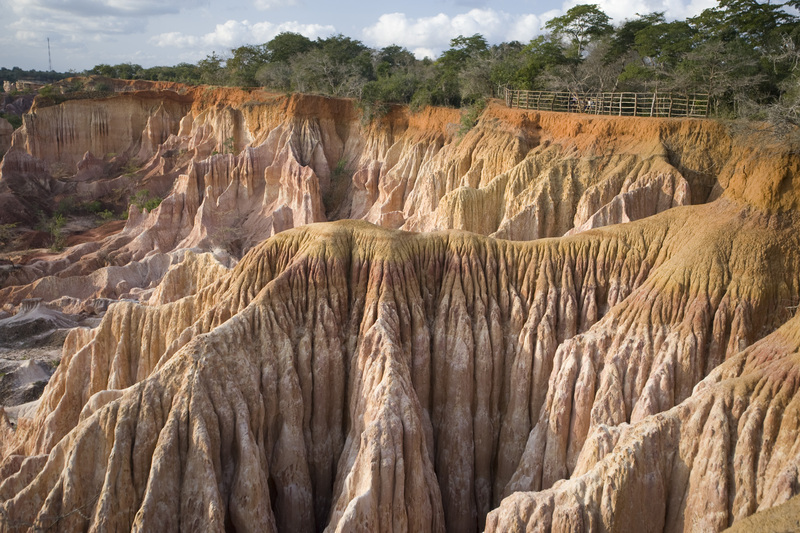 God was so furious with their excessive behaviour that he punished them by opening the ground beneath them which is what you see today in the Marafa depression. 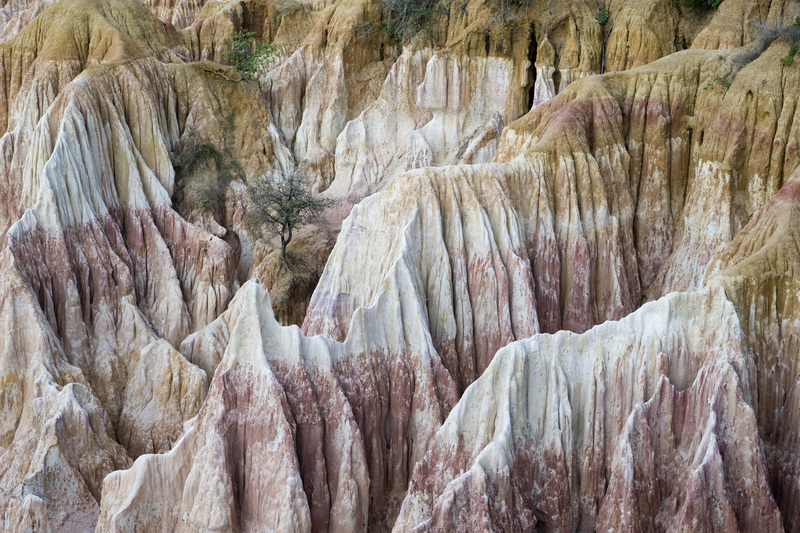 The depression warns the dangers of excessive living through the white and red stone (milk and blood) which were splashed all around this magnificent and surreal landscape. 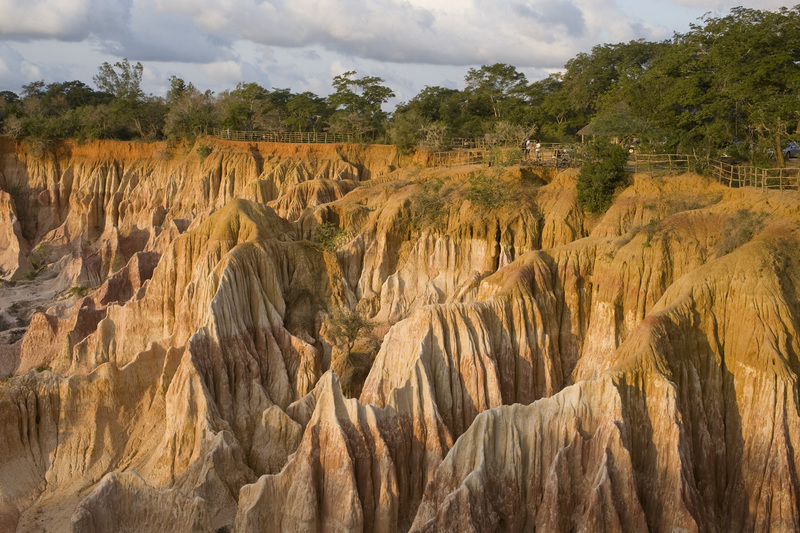 The geological explanation for the amazing rock formations is that the region is made up of layers of mixed rock; some hard, some soft. The crumbly, sandstone rocks have been eroded more quickly than the harder (taller) outcrops of rock. Within the varied rocky outcrops, some have three distinct colours contained in the same rock (red iron, yellow ochre and white chalk). This place is a rock enthusiasts dream!